An exact replica of Pepsi jacket worn by pop legend Michael Jackson in Pepsi commercial, although commercial advertised in the 1980s, but until now this white leather jacket is in the appropriate modern fashion requirements. Made exactly as original. 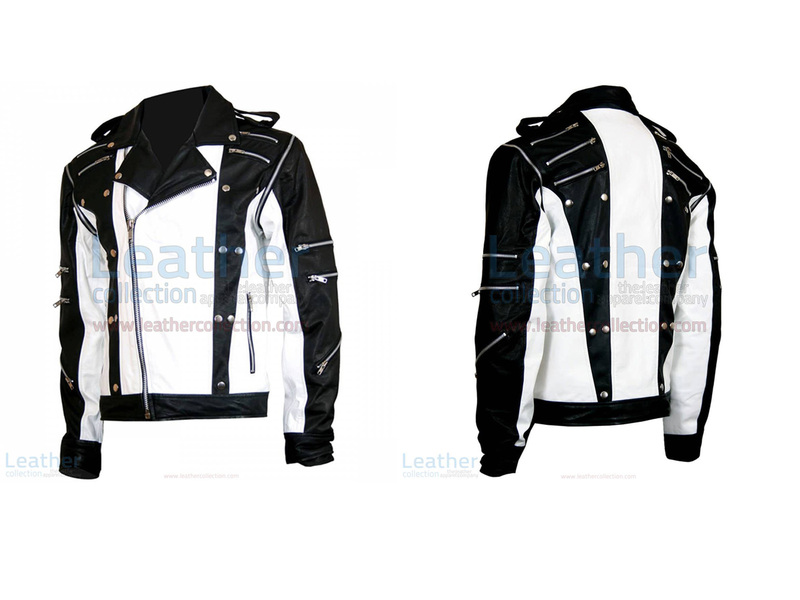 This Michael Jackson jacket is designed and created with high attention to detail. Features 100% genuine cowhide.